Continuing with her healthy crusade, Rebecca has another recipe for cupcakes with fewer calories and less guilt then their original recipe. One of my favorite cupcakes, that I have not had in a while, is the “Italian Wedding Cake” cupcake from IcedGems bakery. This pineapple almond shortening cake with cream cheese frosting is light, fluffy, decadent, and flavorful. I knew I wanted to recreate these flavors for my next “lightened up” recipe, so I decided to try a few new substitutions to recreate the almond, pineapple, and coconut flavors of the Italian Wedding Cupcake. 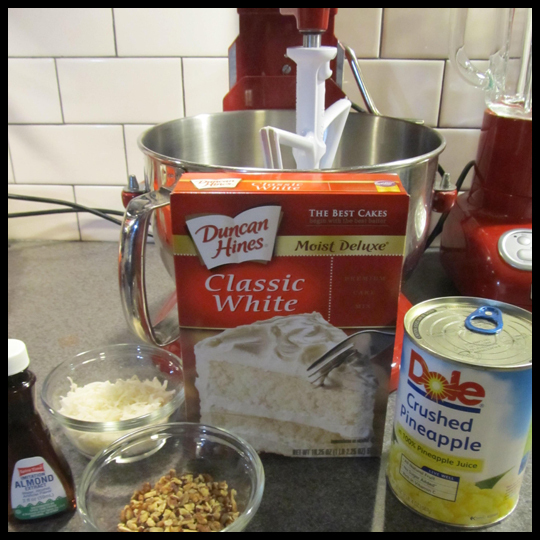 To make the cake, I started with a basic white cake mix and used a can of crushed pineapple in juice (not heavy syrup). The additional moisture from the pineapple was going to be my oil substitute. I did include 2 eggs in this recipe to ensure that the cake would rise. For added texture, I included ¼ of a cup of coconut flakes and ¼ of a cup of crushed pecans. Once it was well mixed, I added 2 tablespoons of almond extract, to really give it that almond kick I was looking for! 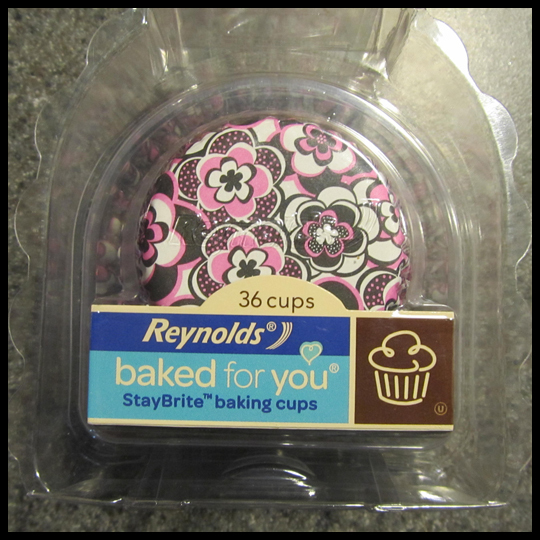 I recently found new cupcake baking cups that wouldn’t “fade” after baking and was very excited to test them out! 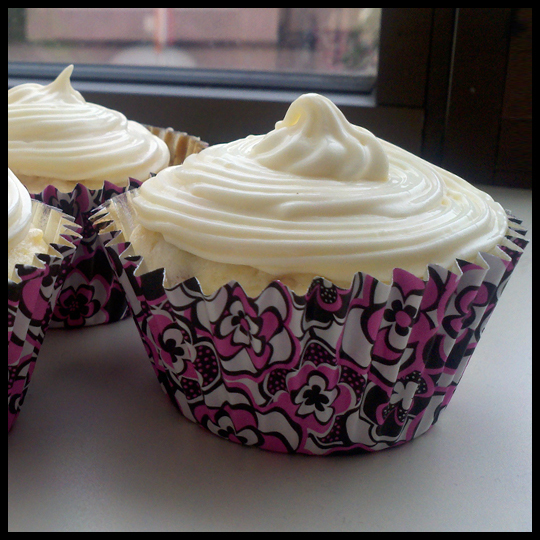 So while the cakes were baking in the new StayBright baking cups, I moved on to the frosting. IcedGems’ cream cheese frosting is rich and thick, like cheesecake, so I wanted to try and create a cheesecake flavor, without the added sugar and cream cheese. I used an 8oz. 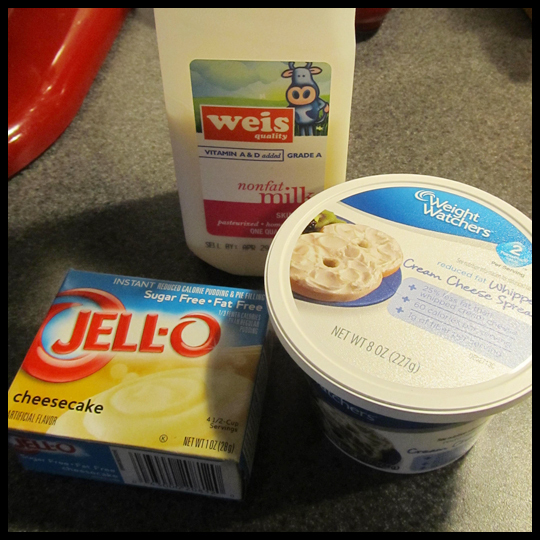 container of Whipped Weight Watchers Cream Cheese, mixed with sugar-free cheesecake pudding mix that had been dissolved in 8oz. of skim milk. The texture was similar to very thick pudding, but it had a nice cream cheese flavor. The pudding mix served as a wonderful, alternative to sugar in this recipe, cutting back on the calories and WW points! This recipe made 24 cupcakes and remained at 4 Points, which is very reasonable for a dessert. I was very pleased with the flavors and texture and would make this recipe again, though the next time IcedGems is featuring their Italian Wedding Cake, I will be sure to stop by the truck for one! This entry was posted in Baking, Cupcakes, Maryland and tagged Almond, Baking, coconut, cream cheese icing, cupcakes, Healthy Cupcakes, Italian Wedding Cake, pineapple, StayBright cups by Crusader Elisa. Bookmark the permalink. Thanks for reading Bee! I hope to try this recipe myself. It sounds so good! Wish I could have tried Rebecca’s finished product! Haha! They were! I actually got to try them becuase Rebecca made some for Elisa’s birthday. I was afraid I wouldn’t get a chance to taste them! You can’t even tell they are a healthier version of a cupcake!